Very few try different softwares available in the internet. Some of the softwares which i found are very useful to us in day to day life. I have a mobile phone which has just 256MB memory space.As you all may know,50 songs at the maximum can be stored.But i have manged to store 120 songs at present. This is possible by a compression software. Convert mp3 to ringtone which reduces the size of a song to less than half its original size without quality loss. Sometimes songs can also be reduced to Kb's.The same thing also applies to pictures.Try it and save your memory space. You may any time be tempted to buy a new mobile.Not all contacts will be saved in your memory or sim card.So why dont you have a back up of your contacts in your PC? 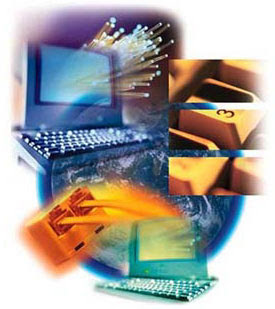 A software exists which enables you to store all the contacts and to retrieve them when needed. You can also provide a password to unlock this software. And another software i found useful is the "folder lock".Not only folders does it lock but any files or even drives.If you think your PC is not confidential enough,go for this. You hav to lock a folder with an authenticated password as a result of which this folder does not even appear in the directory.You need to give your password correctly to retrieve the file. In this way your data stays secure. Thank u.goto google and type mp3 to ringtone gold.This is wat iam using.And if u want u can try some other aplicatins also. And the same thing applies to contacts also.